As a part of FUTURUM 2020 Initiative, coordinated by Baltic Institute of Mathematics, under Honorary Patronage of Prof. Jerzy Buzek MEP, togerther with our colleagues from Sweden we organise an event called "Mattefredag" (Mathematical Friday). Participants will get a bingo card where markings are made after completing different tasks. When reaching one full row (i.e. bingo!) the participants will receive a prize. The tasks will be spread out in open space and will involve theoretical as well as practical challenges. Some tasks well be incorporated in the environment. The idea is that participants can walk the trail either by themselves or in groups accompanied by a mentor. This event will focus on experiencing math in a fun way in collaboration with others. The main idea of Mattefredag is to show that mathematics is not boring and everyone could find something interesting. Mattefredag makes people talk about mathematics. 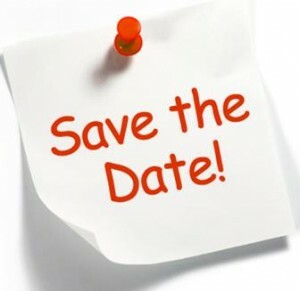 The next edition is scheduled for so-called "Påsklov"(Easter Holidays). BIM invites you to dive into magical world of Mathematics, January, 3-15 2019. Mountains + Sun + Mathematics! What can be better? at the foot of the Beskid Mountains on the border with Czech republic. * Provided we get sufficient number of participants from 1st to 4th grades we would like to invite you to the “1+1″ = Сhild + Parent Winter School. Summer, mountains, math! What can be better? Do you enjoy math, physics, and programming? Join the international children math and physics community BIM. We invite you to have two unforgettable weeks (6-20, August 2018) in a summer math camp for students of 1-8 grades which takes place in a small Polish town at the foot of the mountains. We also invite students of 1-4 grades (ages 6-11) to our school together with parents. The most interesting problems and math puzzles as well as twisted origami are waiting ahead. Every one of you can try being a scientist, an engineer or even a film director. We will show where and how math appears in real life. Are you with us? 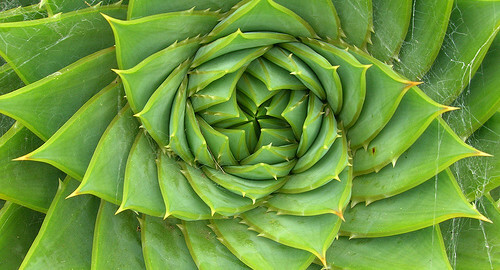 This year edition will be focused on a connection between Mathematics and Biology. - each participant could make a talk about recent research or present a poster. - each participant will get an independent and constructive feedback on her/his current research and future research directions. - a decision about including participant’s work to the book will be made based on experts’ feedback. - each participant will also be given an opportunity to improve her/his work during the school. The ARRIVAL DAY is August 19. The DEPARTURE DAY is August 30. The fee includes meals, accommodation (2 beds rooms with private bathroom) and lectures. 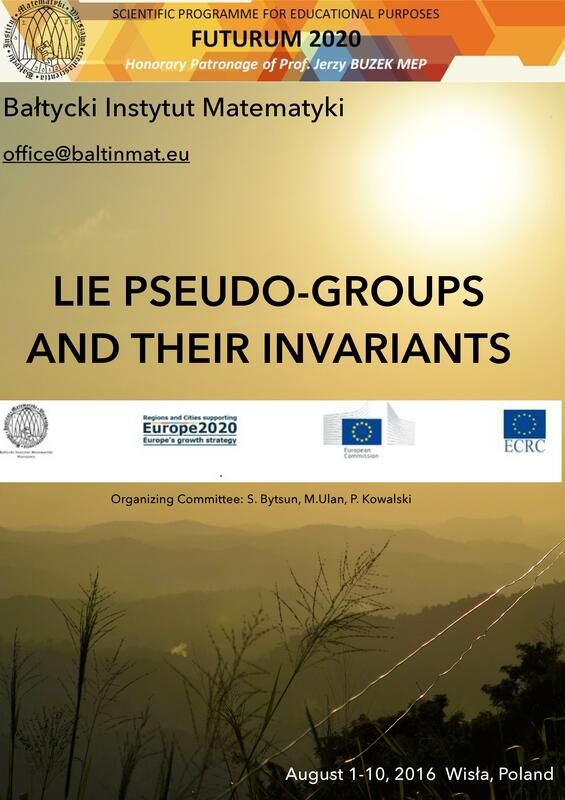 To apply please send an e-mail to office@baltinmat.eu or fill the registration form. 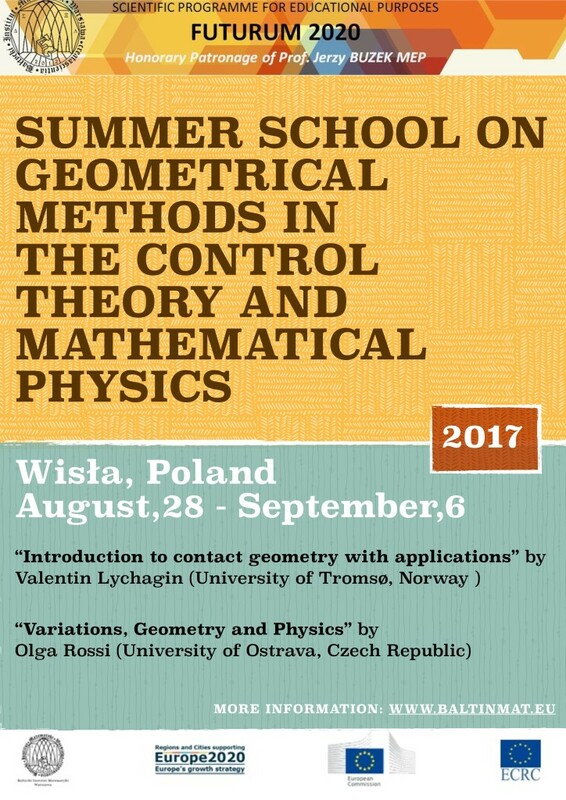 Summer school on geometrical methods in control theory and mathematical physics. Contact and symplectic structures on manifolds, their interaction and main examples. Contact and symplectic transformations and Lie algebras of contact and Hamiltonian vector fields. Generating functions and Poisson, Lagrange, Jacobi brackets. Lagrangian and Legendrian manifolds, caustics. Exterior algebras and analyse on contact and symplectic manifolds. Contact geometry and PDEs: Partial differential equations of the 1st order. Contact geometry and PDEs: Partial differential equations of the 2nd order. Symmetries, conservation laws, singularities and shock waves for solutions of PDEs. Contact Geometry and variational calculus. Contact Geometry and Thermodynamics. Legendrian manifolds and thermodynamic states, phase transitions. Contact structures in visual cortex and neurogeometry. Differential invariants and the problem of image recognition. We shall present foundations of the calculus of variations on manifolds. geometries arising from variational equations. *The fee includes meals, accommodation (2 beds rooms with private bathroom) and lectures. To apply please send an e-mail to office@baltinmat.eu or fill the registration form. Do you enjoy math, physics and programming? Join the international children math and physics community BIM. We invite you to have two unforgettable weeks (10-24, June 2017) in a summer math camp for K1-K12 students which takes place in a small Polish town at the foot of the mountains. We also invite students of 1-4 grades (ages 6-11) to our school together with parents. More information, including images and other multimedia, can be found here. This Summer BIM invite you to join our Math & Physics & Sailing (MPS) Camp – where you will learn about sailing, math and physics. Since people have been interested in getting from one place to another, they have been building boats. The scientific principles that governed early sailing still apply today. Math is an important part of sailing and is used to design stable boats and aerodynamic sails, compensate for currents, and circumnavigate the globe. We will prove you that Math is awesome! You will learn water safety, navigation, sail design, tacking, jibing and basic rescue procedures.Campers will sail with two to four per boat under the close supervision of the instructors. Beginners are taught the basics of sailing from rigging and launching to steering and boat-handling to finally sailing solo. Do you want to know how math shows up in sailing? The registration is open! It doesn’t matter how old are you. 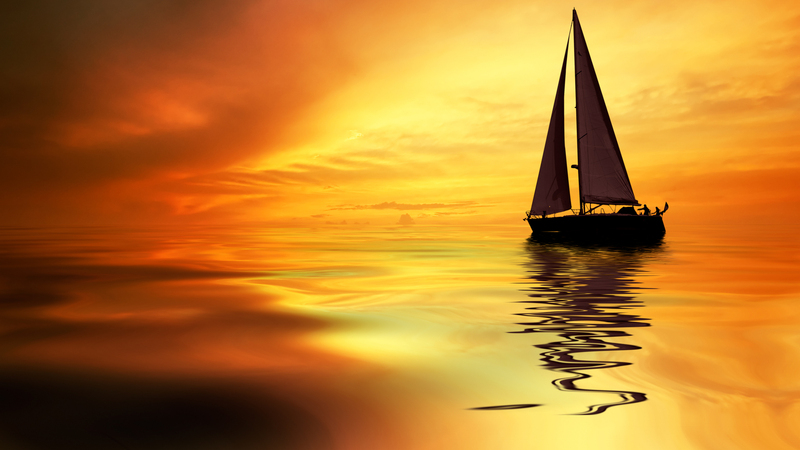 Go sailing with us! We look forward to having you join us this summer for this amazing event. Send an e-mail to office@baltinmat.com to register now!